Parangkusumo Sand Dunes is a unique type of sand dune. The sand dune seems very unusual in Parangkusumo area. Moreover, this area has very high rainfall. That’s why the sand dunes are different from any other sand dunes in the world. The experts said that these sand dunes are the results of Mount Merapi eruption. The rivers carry the sediments into the South Coast. Thus, the sand’s color is grey. Here are the reasons visiting this sand dune is a must. Parangkusumo Sand Dunes is one of the small area in Parangtritis beach. This is one and only sand dunes in Southeast Asia. Thus many people come to this place to this natural phenomenon. Indonesia that is famous for its high rainfall makes people wonder about this place. Many visitors can enjoy a sunset and play sandboarding here. However, this place is not good to visit after rain. It’s because the sand will get harder. Therefore, the visitors can only take photos instead of playing with the sand after raining. This place offers a very nice view of its blue ocean. Instead of the gray sand, the sun shines brightly here. Thus, it makes it really hot. This atmosphere makes the visitors feel like visiting deserts in Eastern Asia. However, this place is a very good spot for taking pictures. The visitors can play many outdoor activities here. One of the most popular is sandboarding. In addition, many people like to play this game. It's because it's the challenging activity in a sand dune. The visitors don’t need to worry if they don’t bring any boards. There is a board rental here. The visitors need to pay Rp 140.000,00 per board. 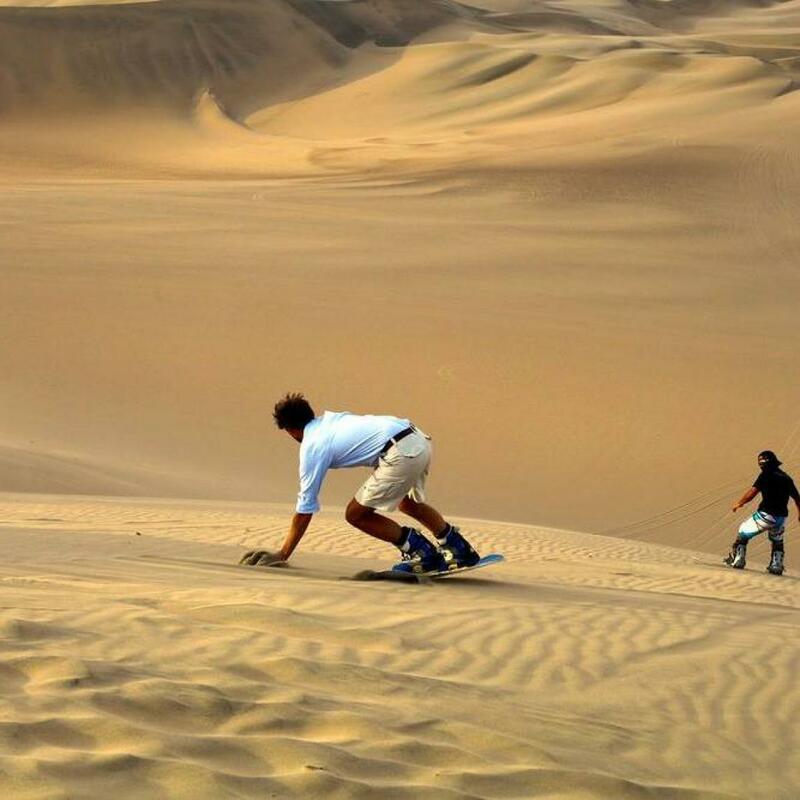 Even it doesn’t sound cheap, but the visitors can play sandboarding as they wish. There is no time limitation on renting the board. There are some tourism sites near Parangkusumo sand dunes. These places are also a popular place for tourist attraction. The visitors can go there by their vehicle or by foot. However, they will need more/less than an hour to get there by foot. Those places are Parangtritis Beach, Depok Beach, and Parangendog Beach. There are also Langse Cave, Imogiri Cemetary, and so on. In addition, those places are only one way from the sand dunes. Thus, it’s very effective to spend the time to visit those places. The opposite road of this place is a beach. Not many people know that there is a place like this near the beach. Even it is like a hidden place, the visitors won’t deny its beautiful view. Thus, the visitors could do sandboarding calmly here because it isn’t too crowded. Those all of the five reasons why the visitors need to come to Parangkusumo sand dunes. Apart from its beautiful and nice view for selfies, this place is also good for outdoor activity. A place like this similar to any other area abroad. Indonesian people especially could enjoy a vacation in a desert here. They also could try sandboarding which is similar to snowboarding. Trying the sand because there is no snow in Indonesia.